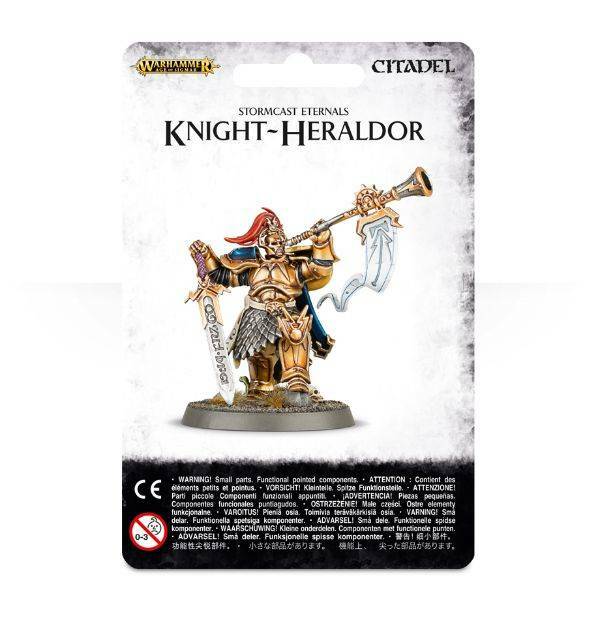 At the very forefront of the Stormhost are the Knights-Heraldor, whose blasting clarion call announces the return of justice and order to the realms. 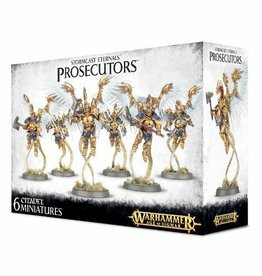 His battle-horn sounds like a glorious thunderclap, the very sound of victory, spurring the Stormcast Eternals on to ever more astonishing feats of bravery in their war against Chaos. 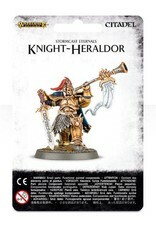 Of course, this battle-horn serves more than an aesthetic purpose - the incredible pressure of the sound it makes can be directed to shake apart even the dread fortresses that litter the realms, causing them to crumble and crush any creature unfortunate enough to be near. 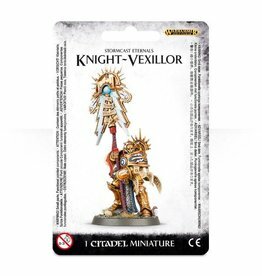 In combat, they wield sigmarite broadswords - weapons of formidable heft that they can use to split enemies apart with deceptive speed.